Lawn care service offered by Weed Pro. Servicing Regina and surrounding area. Our experience in the lawn care industry started in 2004. Quality Unsurpassed Every Single Time. To insure your satisfaction. We use some of the safest and most environmentally friendly products. Weed Pro takes a proactive approach to lawn care, keeping your lawn thick and healthy to ward off weed establishment and pest infestations. One of the factors that distinguishes Weed Pro from many of its competitors is the products we use. Where many lawn care products focus on feeding only the grass, Weed Pro focuses on feeding the soil and the grass. 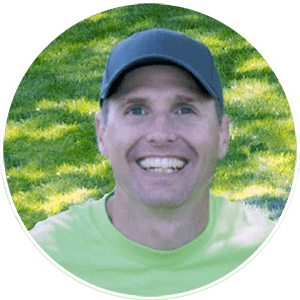 Healthy soil creates an environment for your lawn to thrive in, naturally crowds out weeds, is far less susceptible to damaging insects, and helps your lawn cope with our hot, dry and windy Regina summers. I have been in the lawn care service industry since 2004. Running a lawn care service company has many different aspects I enjoy. I enjoy having a team of employees and teaching them about lawn care service. I also enjoy building a team that knows they are valued and appreciated for who they are, while at the same time encouraging them to grow and become more. Delivering good products and services to my customers gives me satisfaction and a sense of accomplishment. Being outdoors, for the most part, is also something I appreciate about being in the lawn care industry. Quality is important to me (in my day to day life and in my business), and I hope to reflect that in my company – both with my employees, and the services I provide my customers. Family is important to me. My wife and son are a huge part of my life, and I enjoy spending time with them. We love being outdoors – going for bike rides, walking around Wascana Lake, or playing in our backyard. I am actively involved in my local church. I also really like scuba diving with my wife, and woodworking. Our vision is to be recognized as providing the best value of lawn care products and lawn care services. To deliver outstanding results to our lawn care clients. We want to be recognized by our employees as a quality company to work for. We also want to be recognized by the green industry as a company that is knowledgeable. A lawn care company that uses safe lawn care products.Both for the customer and for the environment, and performs its lawn care services with integrity. Weed Pro is committed to delivering exceptional lawn care. We achieve this by giving great customer service that is built on personal relationships and good communication. We also achieve this by using high quality lawn care products that are safe for the whole family, are good for the environment, and produce great looking lawns. 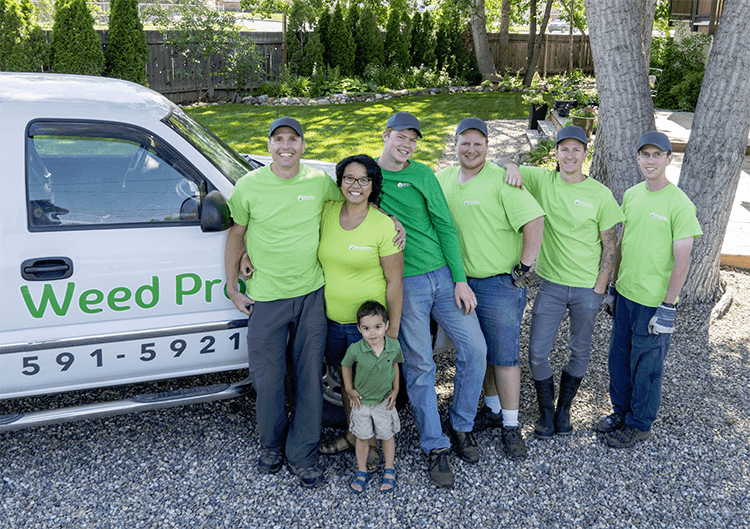 Weed Pro takes a holistic approach to lawn care. We want your lawn to look good, but we also want your lawn to be healthy, and safe for your family to enjoy. Simply treating the weeds and pouring on nitrogen may work for a few years, but it doesn’t take long before your lawn becomes addicted to these drugs and needs them to survive. When using only synthetic fertilizers, the soil becomes nutrient bound and your lawn’s root system becomes incapable of absorbing the soil’s nutrients. Using a combination of both organic and synthetic lawn care products, Weed Pro feeds both the lawn and the soil. Every one of our lawn care programs includes three applications of kelp, which is known for helping the lawn’s root system absorb both the fertilizers we apply and making available many micro nutrients that are otherwise tide up in the soil. Kelp also helps your lawn deal with heat stress and winter stress. Every program of ours also feeds the microbes in the soil. The benefits of microbes in the soil are numerous: the soil will become looser, more nutrients will become available for the lawn’s root system, the more insect resistant your lawn will become, your soil will be able to retain more water, and thatch and grass clippings are broken down and recycled to feed the lawn quicker. By using a holistic approach, Weed Pro proactively eliminates many potential lawn care problems down the road and for long term. We are more than a just a company that kills weeds. Yes, we do use weed controls, but our focus is on making your lawn thick and healthy. “Why am I paying for weed control, I don’t get any weeds?”. But we know from our experience that weed control goes beyond applying a herbicide. It is all the other things Weed Pro does so that weeds never really grow in your lawn in the first place. For those first few years (and every year thereafter, too), you will be relieved to know that we guarantee a weed free lawn. This means that in addition to the weed control applications in a program, if you notice a weed in your lawn all you need to do is give us a call, or send an email or text to let us know, and we will gladly give your lawn a weed control touch up at no additional cost to you. 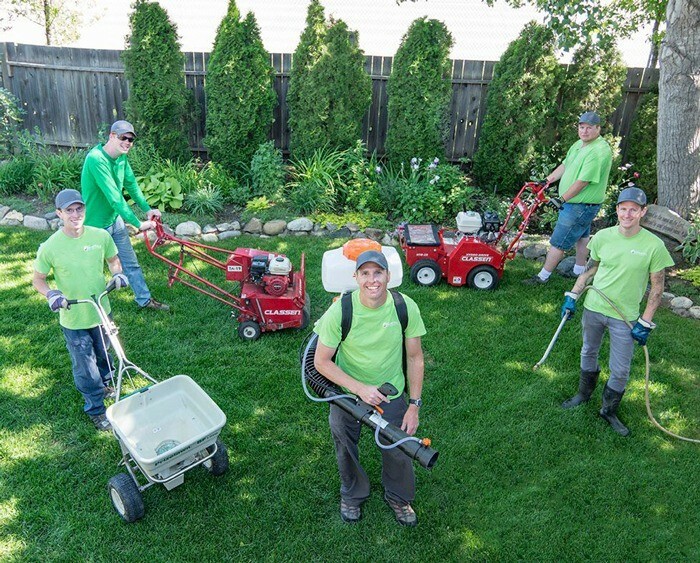 A holistic approach to lawn care includes you, our valuable customer. We want you to have a healthy and attractive looking lawn. And you play a role in that. Each month we will email you some simple tips for taking care of your lawn. Much of this information you may already be familiar with, especially if you are a returning customer. Together, we are a team. We both need to do our parts, so that you can have a healthy and attractive looking lawn. We will email you simple instructions and reminders on things like watering, mowing, looking out for suspicious patterns, etc, that will help keep your lawn looking great all season long. The most important part of our holistic approach to lawn care is taking care of our customers. As a customer you are valuable to us, and we will treat you as we would want to be treated. We know how frustrating it is to receive poor service (I am a customer, too). When calls or emails are not returned promptly, it can be aggravating. Weed Pro is aware of the dangers of being understaffed and over committed. We know that customer service is what builds a company and how a customer becomes a loyal customer. We are a lawn care company that knows its job is about delivering good customer service.